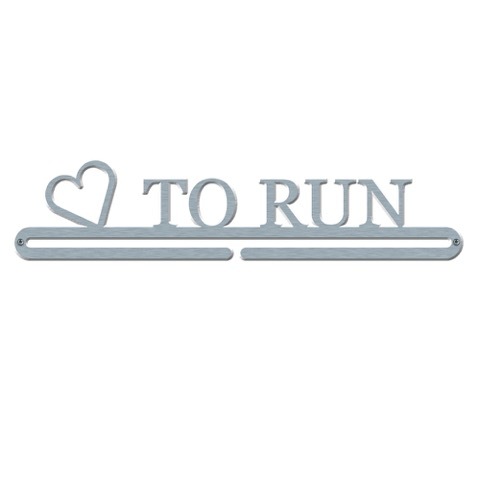 Medal Hanger Shop best seller, the love to run hanger. We have the perfect gift for the runners in your life. If they devote their time to running and you are devoted to them, there is no better way to show your affection than to give them this beautiful stainless steel medal holder. This medal display is slim at 1.5mm width but once attached to the wall, will be strong enough to hold the chunkiest of race medals. 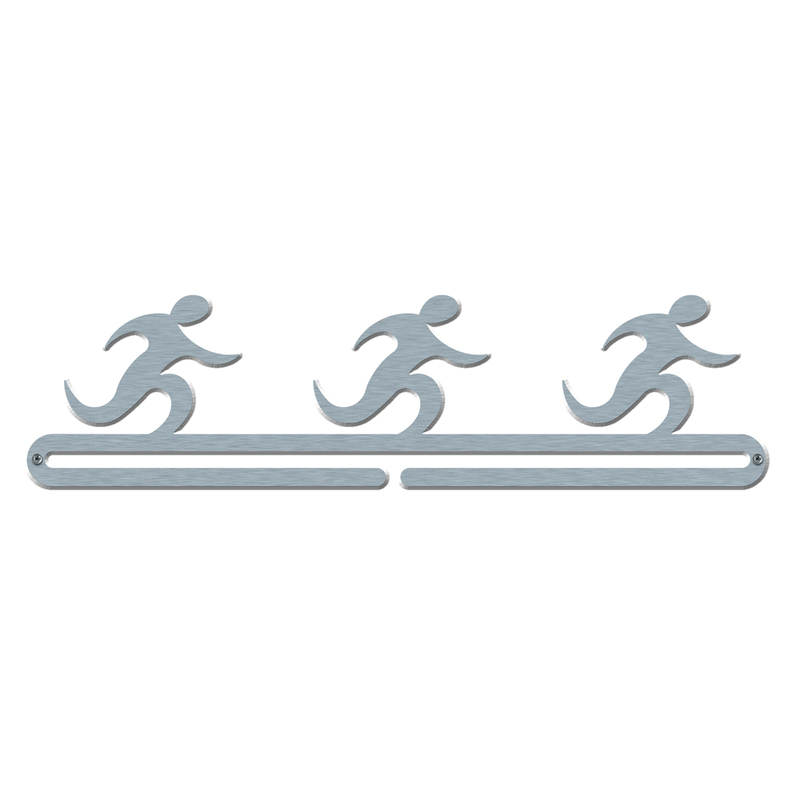 Additional bars can be added at any time to this running display to create an everlasting runners homage to racing and race finishing. 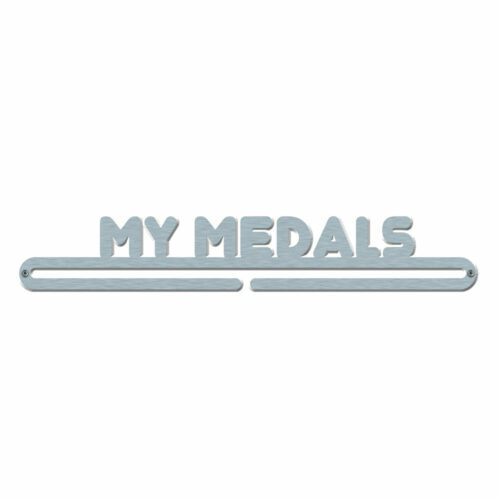 Make your runners wall stand out with our Love to Run medal hanger. Complete with fixtures and fittings, your display is simple to complete with the aid of a drill and a spirit level. You are then left only to decide how you like to display your medals. Will it be race preference, or by season? 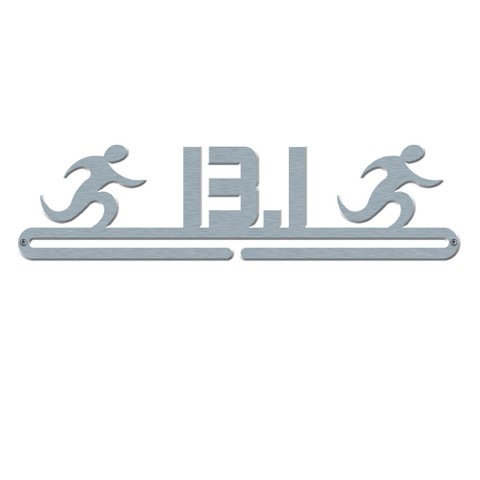 if the runner in you life lives for the next PB and competes in Park Run or organized charity runs, or belongs to a running club, their commitment to training deserves this reward. Spend a little, you’ll love it a lot, guaranteed. Stainless steel for a sleek, classy finish. Single hanging bar for neat display. Love, love LOVE this hanger! Now my bedroom mirror is medal free! I’ve just received this and two other hangers for my wife and two sons who are runners / swimmers / triathletes. The order was processed speedily and arrived well-packaged for protection. Workmanship and finishing is first rate and everything is stylish, well-proportioned and fit for purpose. I feel the price is a bit on the top side but, that aside, I would have no hesitation in recommending. Next day delivery, well protected from any damage in transit, easy fixings, looks great. What’s not to like? Mrs got me this as a surprise, well chuffed ! Well made, looks even better than the pictures. it compliments my other medal hanger perfectly. Great service from a great company, will definitely recommend to all my family and friends.